Opponents of Jewish communities in Judea and Samaria ("settlements") charge that they drain our economy, diverting funds that should be spent within the 1949 Armistice ("Green") Lines. They accuse the government of giving settlers unwarranted discounts and subsidies in the form of building schools and clinics, infrastructure, such as roads, and providing security. But is this true? Adding up all government allocations over the Green Line, they include building the separation fence/wall (NIS 18 billion), the 2005 withdrawal from the Gaza Strip (NIS 15b. ), the development of the Iron Dome rocket defense system and added protection for communities near Gaza. None of this was done to help settlers. Jews were encouraged and assisted by the government to build communities in the Gaza Strip and northern Samaria; they cannot be faulted for what happened. This simplistic method of calculation ignores the fact that government expenditures would be required regardless of where people live. Children need schools, parks and playgrounds, and basic medical care. Communities need religious and cultural facilities that the state is obligated to provide. And people need homes. Destroying Jewish communities reduces the supply of homes while demand increases, resulting in even higher housing costs. Living in settlements near but outside densely populated urban and industrial centers provides growing families with affordable and adequate living space and employment opportunities. Without settlements the housing crisis would be even worse. Building roads in Judea and Samaria  which are used by Jews and Arabs alike  is essential for economic growth, security and defense. Were it not for the alternative highway (Route 443) to the Modi'in area and Ben-Gurion Airport, for example, getting there would be much more difficult, especially when the main Jerusalem-Tel Aviv Highway (Route 1) is blocked. The Trans-Samaria Highway (Route 5) is a vital link to the Jordan Valley. Building Jewish communities in Judea and on the Golan Heights began shortly after the Six Day War, under Labor governments; Jordan Valley settlements were established well before those in Samaria and the Gaza Strip. 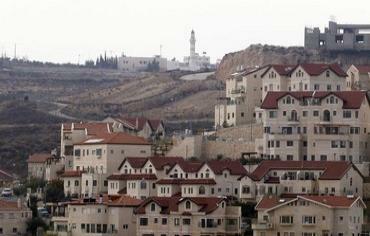 A consensus, settlements are acknowledged as strategic necessities. Without settlements, aircraft, air and seaports would be vulnerable. Without settlements, our water sources would become polluted and depleted. Settlements offer a protective cover for the Coastal Plain. Redeploying the IDF along the Green Line would make defense far more difficult and far more costly. Moreover, Israel would lose its strategic positions and buffer zones. Settlements also contribute to the IDF's security system as first responders in emergencies. The Gaza Strip and southern Lebanon were not evacuated to help settlers, obviously, and the resulting losses are incalculable, since the disastrous effects are ongoing, enabling Hamas and Hezbollah and turning the Sinai peninsula into a terrorist base. Comparing government expenditures over the Green Line to all direct and indirect subsidies and transfer payments reveals that "some are more equal than others." For example: subsidies, discounts and land transfers to kibbutzim and moshavim, huge land and benefit grants to Beduin, "haircuts" (losses) to investors  especially public pension funds, allowing monopolies and cartels, including Histadrut extortions, permitting pyramid schemes and banking system that serves the elite. Settlements did not cause the collapse of banks in the mid-1980s, or their bailout at public expense. Settlements didn't cause Palestinian terrorism. Arab suicide bombers were not upset by settlements; they wanted to kill Jews. Conflating security and defense costs with assistance to settlements distorts reality and masks more serious economic problems. As the recent State Comptroller's Report shows, big businesses and tycoons are given vast benefits at the expense of consumers. "Loopholes reduced tax revenues by NIS 5.6b., including NIS 4b. from just four companies." Some Israeli companies with billions in profits pay little or no taxes. High economic concentration threatens Israel's economic structure. It's a ripoff that makes government expenditures in "the territories" pale in comparison. Billions have been spent trying to protect Israeli towns and cities from rocket and missile attacks; billions more were lost on property damage and reconstruction; billions more were spent on war, and on incalculable costs in human suffering and death. Lacking convincing evidence for their claims that settlements cause economic, social and financial harm, opponents switch the argument to "the occupation is morally corrupting." The original occupation, however, the "Nakba" ("catastrophe")  basic to Palestinian ideology  happened when the State of Israel was established in 1948, not as a result of the Six Day War and settlement building. This "moral" argument, moreover, is perverse. Suggesting that settlements be removed because of moral principles ignores reality, endangers all Israelis and weakens our ability to defend ourselves. Using false and misleading arguments to undermine Jewish communities and the rights of the Jewish people in the Land of Israel is not only deceitful, it is fundamentally unethical and immoral.